When Simon Masrani accidentally destroys one of the park’s main attractions (he really should learn how to fly that helicopter! ), he calls upon his trusted employee, Claire, to save the park! After some quick dino-DNA building in Dr. Wu’s lab, Claire comes up with the perfect solution that is sure to please Masrani and kids everywhere – The Indominus rex – the smartest, biggest, scariest and hot dog-loving hybrid dinosaur ever created! 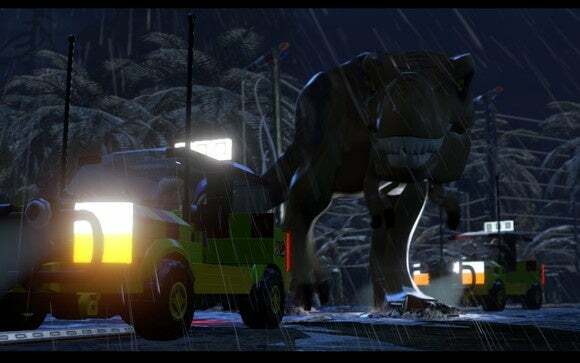 But when the Indominus eats all the hot dogs, it escapes from its pen in a hungry rage and it’s up to the talented and rugged dinosaur trainer, Owen Grady, to save the day. After a daring motorcycle chase that ends in a pile of bricks, Owen and Claire think they have the Indominus beat, but the hybrid is smarter than they thought. 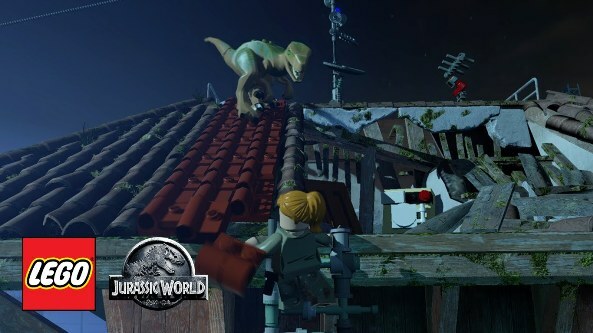 After Claire creates a trap using some tasty treats, Owen quickly puts his training skills to the test and leads a pack of newly trained hybrid dinosaurs to battle the Indominus rex in an epic, action-packed finale! Will Owen and Claire stop the Indominus rex and save the park before it is too late? Find out in LEGO Jurassic World: The Indominus Escape!